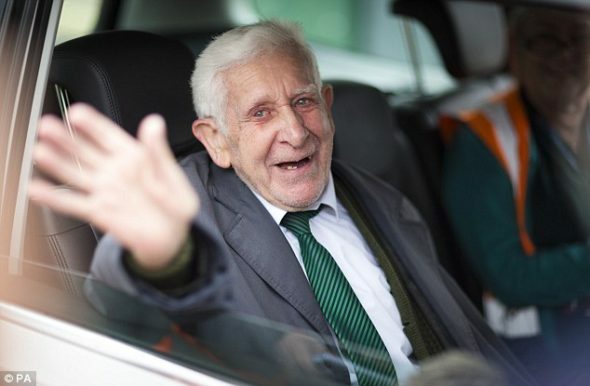 British war veteran Bernard Jordan. 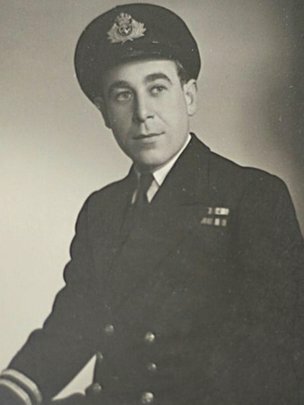 Mr. Jordan was among more than 650 ex-servicemen believed to have travelled to commemorate the D-Day invasion, described as the largest in military history. After failing to get a seat on an official bus trip to the events in France, he decided to make his own way there, walking out of The Pines care home in Hove in the south east of England on Thursday afternoon. From there he made his way to Portsmouth, joined up with another bus trip, and secured passage on an overnight ferry. Staff at The Pines raised the alarm and contacted local police when they discovered he was missing, and it wasn’t until they received a phone call from a younger veteran who met Mr. Jordan on the bus that they realized where he was. He’s now returned to the UK and received a hero’s welcome from staff and other residents at The Pines. When he arrived in the port of Ouistreham, France, he found a hotel near to the site of the international ceremony at Sword Beach and stayed there on his own.